The new James Bond movie is leaving fans shaken and stirred, as a set video and photos for Bond 25 show a masked villain and a dramatic chase sequence. Shared by Express, the behind-the-scenes video is reportedly taken from principal photography and was shot at a lake 20 miles north of Oslo. It includes a young woman being chased by a Phantom of the Opera-inspired villain. It's not totally clear when in the movie this takes place, though it's entirely possible that this is a look at one of the main villain's henchme. The site explains that the girl appears to fall through what could be a sheet of ice before the masked man seems to bend down and possibly save her. With Bond 25's full cast list still a closely guarded secret, there's no news on who either actor is or how big their role could potentially be in the movie. Following the exit of Danny Boyle as director, True Detective's Cary Joji Fukunaga has now taken the reins. 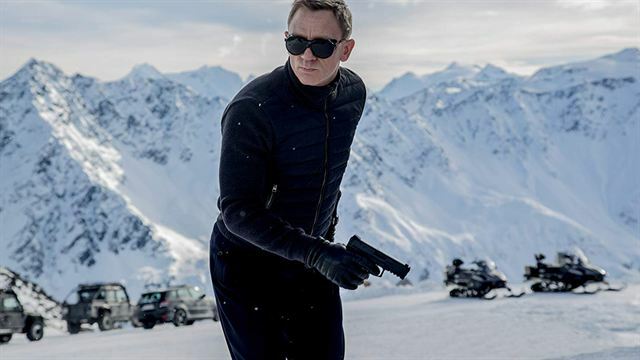 In fitting with classic Bond tradition, it looks like there will be plenty of high-adrenaline stunts and high-speed chances to keep audiences gripped. Aside from the fact Daniel Craig will be back as 007 and rumors that Bohemian Rhapsody's Rami Malek will be the big bad, there's virtually no news on what will be going on in the spy franchise's 25th entry. Directed by Cary Fukunaga, Bond 25 stars Daniel Craig, Lea Seydoux, Naomie Harris, Ben Whishaw and Ralph Fiennes. It is scheduled for release on April 8, 2020.